Just to again clarify, the track replacement is technically not part of the turf project as the track funds are permanent improvement dollars while the turf portion is being paid for with private dollars. 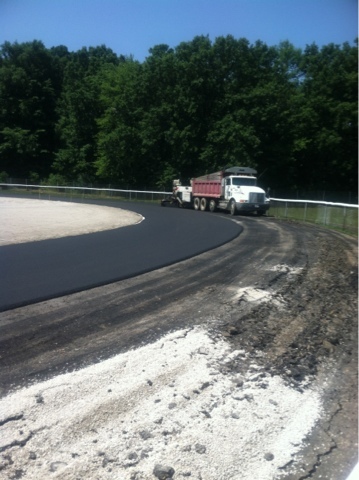 The track work was done by VASCO Asphalt out of Massillon and the guys who did the work deserve a standing ovation for battling the extreme heat and getting the job done. 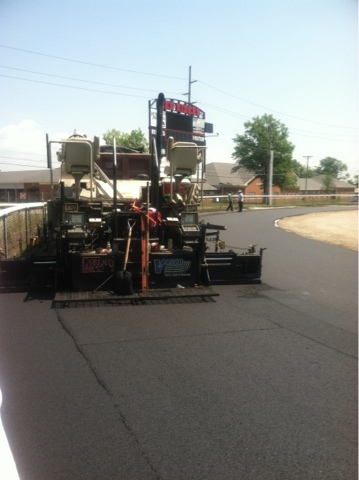 The asphalt will need to cure for 3 weeks and then a latex top coat and lane markings will be applied. The surface as it is right now is just like a freshly paved parking lot, but the top coat will give the surface it's sponginess. Here's pictures of various parts of the track during installation of the asphalt layer. The pictures of the excavated area of stone will be where the new long jump and pole vault runways will be poured, probably this coming week. 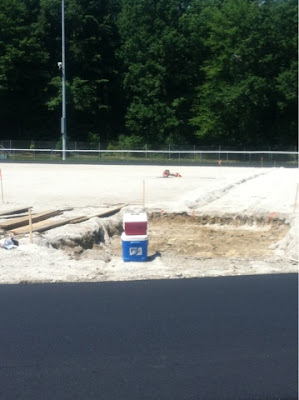 As far as the field goes, this week saw the final touches put on the stone base. 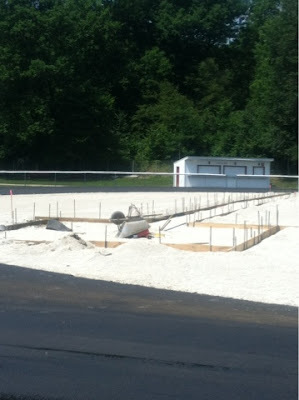 As I took photos of the track on Friday, it seemed like the stone base was pretty much done and is now ready for turf. 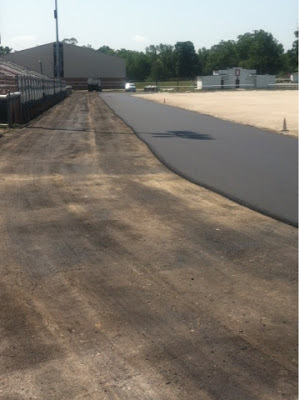 The turf crew is currently installing turf at Notre Dame Cathedral Latin High School in Chardon and will come to Orrville immediately upon completion. They just got started this past Friday at NDCL, so it will probably be 2 more weeks before turf installation begins in Orrville. The new goal posts are sitting unassembled in the north end zone but wont be installed until the turf is laid down to prevent and damage to the posts by machinery working around the field. 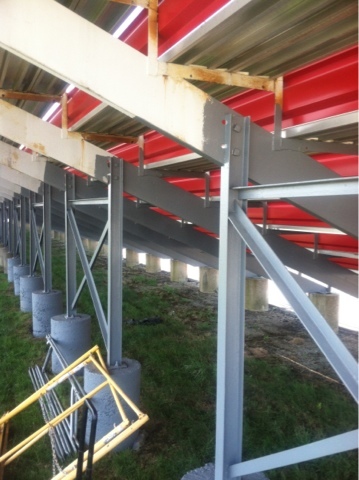 Lastly, I think I mentioned before that the underside of the home bleachers were getting a fresh coat of grey paint...I finally remembered to get a picture of it. Looks great, and it might not be the last bit of new when it comes to the bleachers. Stay tuned on that one.